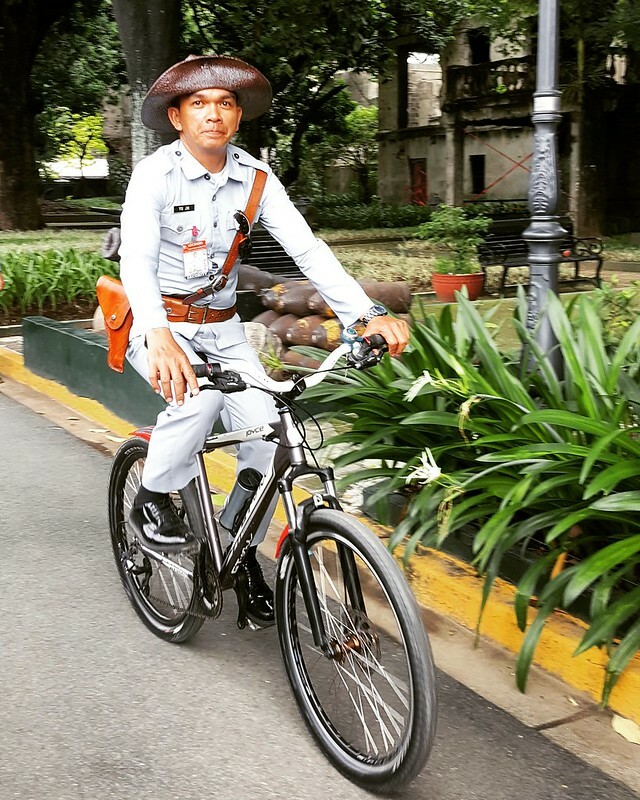 I am one of those who had their first visit to Fort Santiago as part of an educational trip and revisited after being based in a foreign country. While our visit last July was in a more relaxed manner that made it more meaningful, I fondly remember how in my sophomore year in high school we hurriedly consumed our packed lunch and explored the Rizal Shrine the most under the impression that we will be quizzed the following week by our Social Studies teacher. 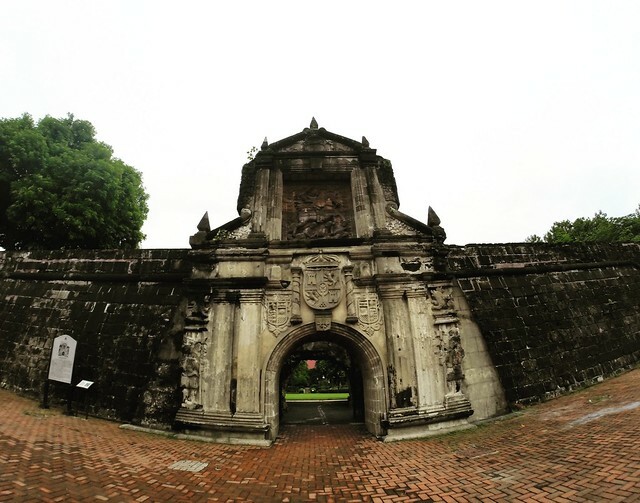 Years later, I glanced at the fort’s gate with better appreciation of the Philippine culture and history. 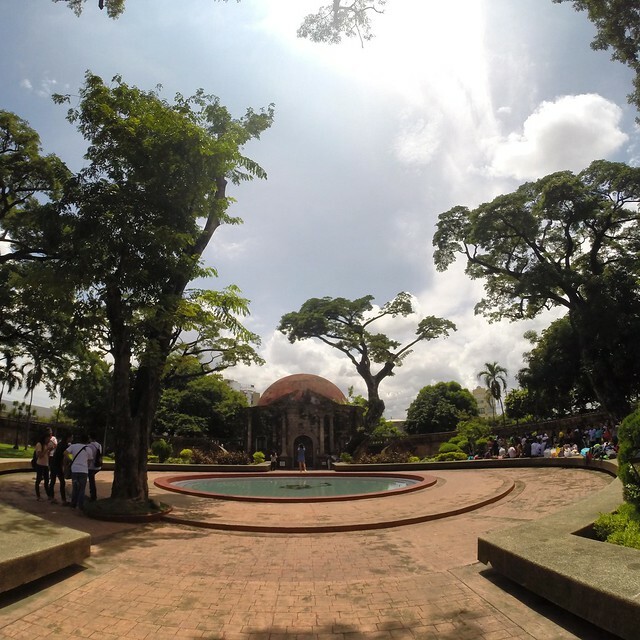 Paco Park is one of those places that I wanted to visit because it is frequently featured as filming location. The fountain was not operational when we visited though. I wonder how I never knew where it is and never got to see it in person. 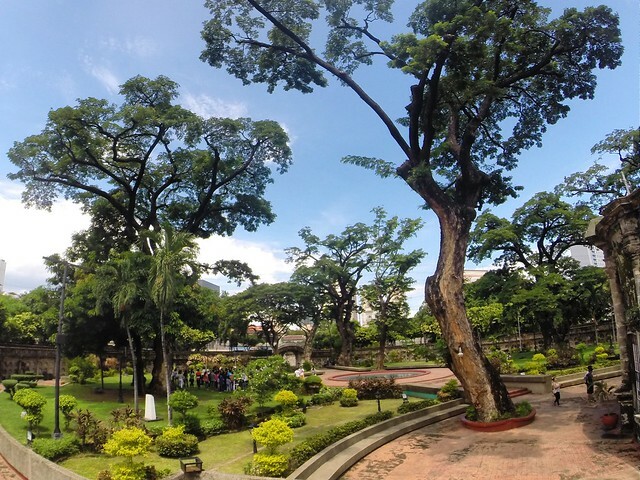 Hence, we spent some time here on the same day that we have re-visited the Walled City (Intramuros). 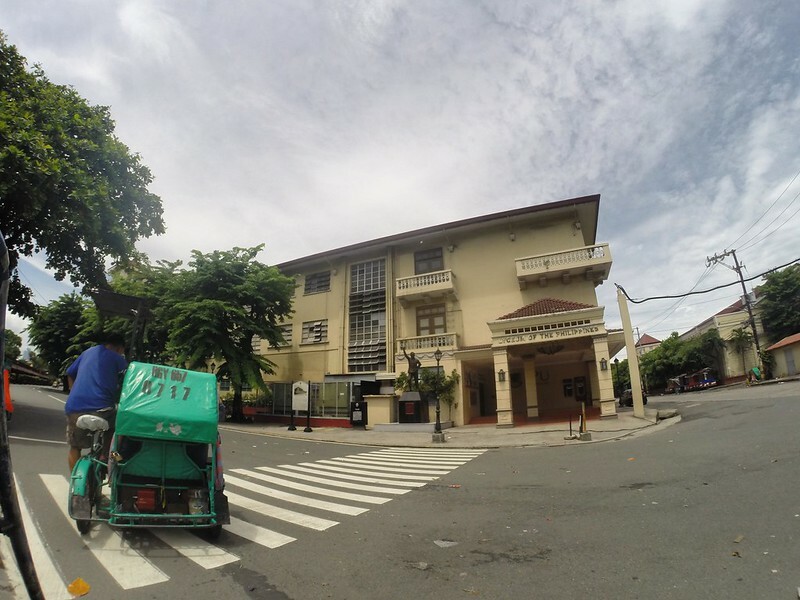 It turned out that it is the area fronting the Paco Fire Station which I have passed by hundred times on my way to Makati or nearby areas. I am back in the super sunny UAE. 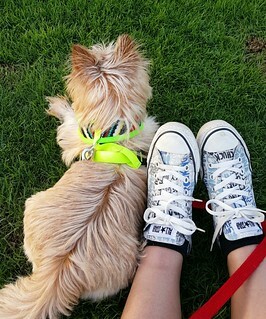 It is summer here in contrast to the relatively rainy season in the Philippines. Thanks to our weeklong holiday due to Eid celebrations that I managed to have another whirlwind trip to the Philippines. It was in 2008 when the holiday had been this long. We can say that it is a once in a decade occurrence. 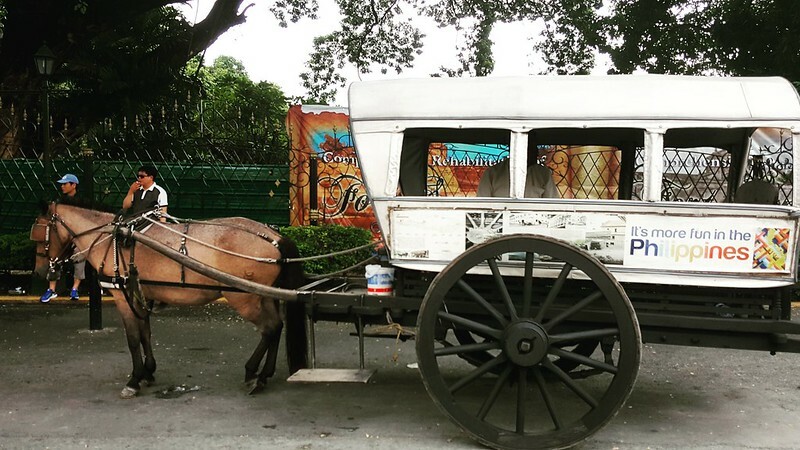 Would you like to explore Intramuros by calesa (horse carriage)? I thoroughly enjoyed the short stay at home, catching up with family (aiming to catch up with some friends in my December trip this year), the raindrops, food, and more. 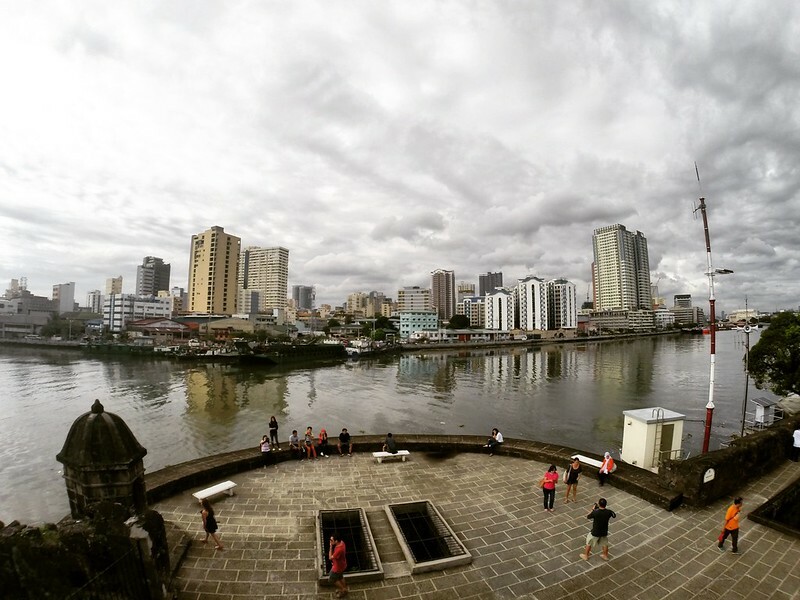 I cannot emphasize enough how happy I am that I was able to revisit Intramuros in this trip and that the weather cooperated that day. I particularly nurtured my interest to revisit the Walled City after I had my share of visits to a number of castles and forts in the past months in the UK. The last time I extensively wandered in Intramuros was in late 1990s. Not so surprisingly, I hardly recognized some establishments as of 2016. On the other hand, there were corners/spots that I vividly remembered no matter how much they have been restructured or replaced. It is quite interesting though that all the time I was wandering within this beloved Walled City, my eyes were seeing two frames (of the late 1990s and the present). It was a little nostalgic, so to speak.